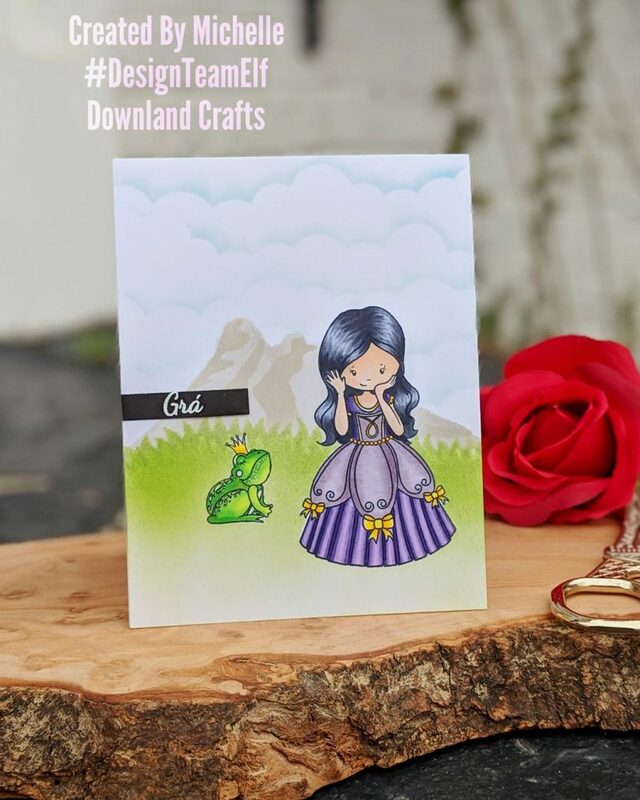 Michelf here with another great stamp set from Downland Crafts called “Two Princesses”. I started with stamping one of the princesses and the frog with Memento Tuxedo black copic safe ink and created masks for both images. Fussy cutting the masking paper on the inside of the stamped line can help prevent white gaps between the image and the background with the mask is removed. I put the masks over the images so I could use some stencils to create the grass, mountain and clouds for the background. 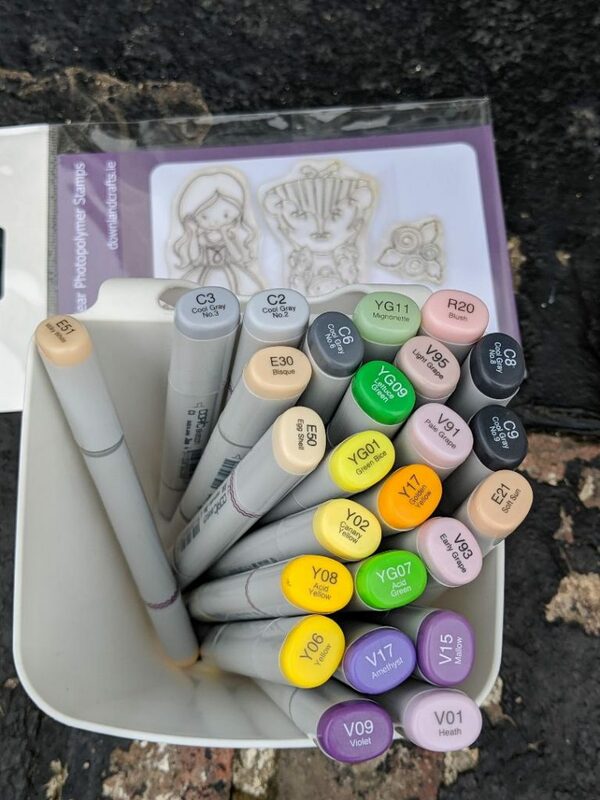 I removed the masks and used Copic markers to color the frog and the princess. See picture for colors used. Finishing touches were to use a white gel pen for some highlighting on the frog and her eyes. I white heat embossed the ‘Love’ or ‘Gra’ sentiment from the “As Gaeilge Greetings” stamp set on black cardstock. Then I glued the whole front onto a 4.25 x 5.5″ top folding card base made from Neenah Classic Crest 216gsm (110lb) cardstock. Hop on over to downlandcrafts.ie and shop the DC brand stamps. You can use DTEMICHELLE10 to get 10% off during checkout. Be sure to tag us as we would love to see what you create.